After completing her doctoral research in the Yucatán, Alicia vowed she’d “return to the field” and give back to those who helped her. 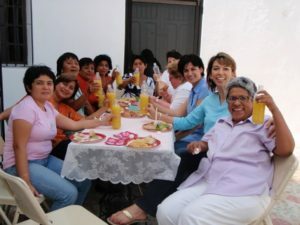 In 2010, Alicia led a Women’s Workshop in Mérida, Yucatán. She offered a Valentine’s Day (Día de la Amistad) Workshop as a thank you to women and colleagues who participated in her research on sexuality, gender and HIV/AIDS.